Bob Flaws is one of the most famous TCM therapists and instructors in the Western world. His formulas are under the name of Blue Poppy Herbs. 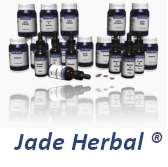 Blue Poppy Herbs are made from the highest quality desiccated extracts manufactured at a GMP certified factory in the People’s Republic of China. 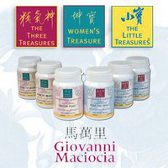 Only high quality Chinese herbs are used in the manufacture of our formulas. The botanical identity of each ingredient is checked by a trained Chinese medical pharmacognosist when it arrives at the factory. The herbs are then washed in distilled water before being sent to a clean room for processing. All the processing from start to finish takes place in stainless steel equipment. Depending on the formula, cooking in a 50:50% solution of distilled water and alcohol lasts 3-6 hours. Volatile oils, which come off more quickly, are captured and added back to the formula just prior to freeze-drying. The liquid is freeze-dried at -25E°C at the same time that vacuum extraction pulls off air, water, and the alcohol. When approximately 10% of the liquid remains, it is heated at 30E°C to sufficiently dry the extract, which is then ground into a fine powder. The Chinese factory which manufactures our formulas is a government-licensed and inspected facility which meets all standards of the Department of Health of the People’s Republic of China for a GMP facility and, in addition, the factory has passed an independent site audit with NSF International to be certified as compliant with FDA cGMP regulations. 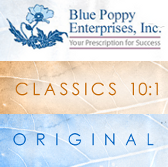 All Blue Poppy Formulas are laboratory tested first in China and then sampled and retested again in an independent FDA approved lab in the U.S. to insure freedom from heavy metal and microbial contamination, as well as pesticide residues.